Blockchain: where is the value for investment banks? We believe capital market leaders need a detailed impact analysis to assess the business case for blockchain. In my previous post, I outlined the potential long-term opportunities blockchain could offer investment banks, if blockchain’s promise is in fact realized. I also explained why the only way to determine whether the excitement around blockchain is warranted is a concise, in-depth impact analysis. In this post, I will give you an overview of the study we conducted with top benchmarking firm McLagan to determine fact-based estimates on the tangible potential benefits of blockchain. For our research into the potential operational impact of blockchain, we teamed up with McLagan, a world-class capital markets benchmarking provider. McLagan performs comprehensive financial benchmarking of the largest banks every year. It uses granular cost data sourced directly from the general ledgers of participating banks. 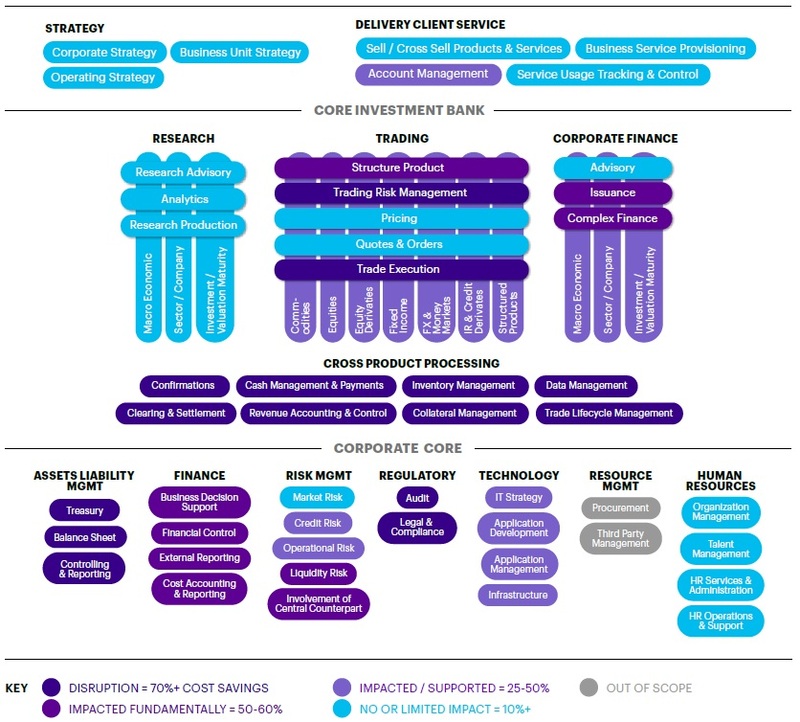 In our analysis, we mapped McLagan’s aggregated operational cost data from eight of the world’s largest investment banks (based on revenues) against our proprietary Accenture High Performance Investment Bank model. With this approach, we were able to investigate where blockchain is likely to have the most impact across the entire spectrum of front-to-back processes and operating metrics of an investment bank (see diagram below). Source: Banking on Blockchain—A Value Analysis for Investment Banks, 2017. 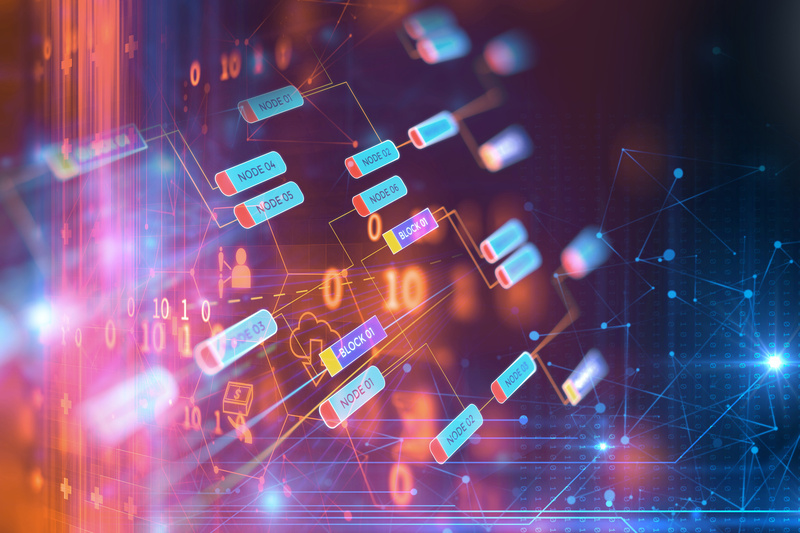 Billions of Dollars in cost savings per year—blockchain has enormous implications for trade confirmations, reconciliation, cash management, asset optimization and other exceptions-based business logic processes that cost billions of dollars a year. Reduced time windows—depending on the underlying asset(s) and counterparty requirements, it also promises to optimize settlement by greatly reducing the time or even completely eliminate windows for delivery versus payment, while supporting the needs of market makers. Impact on cost dynamics—ultimately, blockchain could enable decommissioning of large parts of today’s back office infrastructure, and externalization of key operational processes to industry utilities, profoundly impacting cost dynamics. In conclusion, there is undoubtedly good reason for all the excitement around blockchain in financial services, and specifically in capital markets. While we don’t believe it will completely disintermediate or replace the current ecosystem players, we do think its impact will be transformational. In my next post, I will outline next steps toward reaping the benefits of blockchain. In the meantime, I invite you to take a look at our Blockchain Value Analysis report. Our report on Three technologies that are changing the financial services game may also be useful. Next Post - Investment Banks: are you ready to benefit from blockchain? Suggested Post - Investment Banks: are you ready to benefit from blockchain?